If you stumbled upon our little corner of the internet, chances are you're looking for an airbed. If that's the case, we can help you choose right. 3Beds.com was founded in 2010 by James M. gregory with the sole purpose of putting together a team of people to eliminate the guess work from the process. With the help of our featured testers, we review airbeds trying to separate the wheat from the chaff. So, far we have reviewed over 120 models. We rate the inflatables in 5 quality categories: Comfort, Durability, Air Retention, Pump & Value for money. We then compile guides based on different criteria, from size to weight capacity. 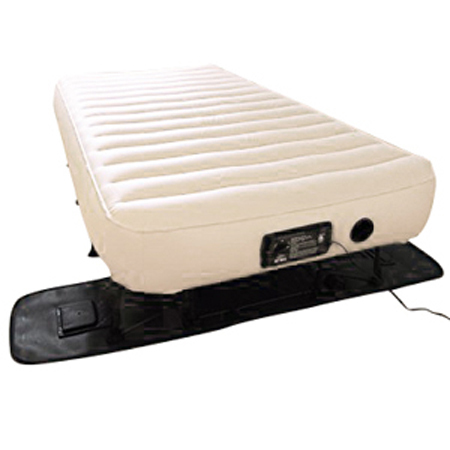 You can see our current overall picks here - best air mattress reviews. You can see our top picks sorted by size they come in below. If you have a special place in your heart for a certain brand, you'll find our top picks sorted by the company they're coming from below. Below are our picks based on specific factors, like comfort, durability or the type of airbed. Usually, the campaign of re-testing is spring (March-May) for camping airbeds & autumn (August-October) for models designed for home use. Any new models are tested after they've accumulated at least 50 reviews with the retailers and only if the % of users that rated the model with 4 or 5 stars is above 75%. 3Beds.com is not attached to any brand and our reviews are completely independent. We find the site through the Amazon affiliate program - which means that if you buy a product through Amazon and get there through one of our links, we get a small commission. That's how we're able to buy the airbeds we test while maintaining objectivity. The ratings you see are a reflection of our tests, opinions and 7 years of experience. We sincerely hope you find what we do helpful and get the best value for your money when buying an air mattress. We love mail and our testing process was tweaked over the years by interaction with our readers. So, feel free to drop us a line if you have any questions through our contact form here.